In addition, Russia’s newest air defense system “has made Americans nervous taking into account that the S-500 is a purely defensive system and the fact that the United States unilaterally withdrew from the Anti-Ballistic Missile (ABM) Treaty,” he observed. The S-500, designed by Almaz Antey, is said to have a range of 600 kilometers (more than 370 miles). The system can simultaneously intercept up to ten ballistic and hypersonic missiles traveling at a speed of 7 kilometers per second. The Prometey is capable of engaging targets at an altitude of up to 200 kilometers (more than 120 miles). The system is capable of intercepting aircraft and UAVs, as well as destroying low-earth-orbit satellites, space destruction devices and orbital weaponry. The S-500 will be a major upgrade to the state-of-the-art S-400 complex that is already in service. “It is clear the S-500 is intended to serve as a high-altitude antiballistic missile system for home defense, and that its very long range could make it useful for anti-access/area denial and antisatellite tasks. It is also evident that it is designed to be mobile and hard to detect or hack into, so as to resist air-defense suppression strikes,” Sébastien Roblin wrote for the National Interest. The analyst added that it remained unclear when the S-500 will become fully operational and whether it would “live up” to its stated capabilities. MOSCOW, October 25. /TASS/. Russia’s Strategic Missile Force has successfully test-fired an RS-18 intercontinental ballistic missile (ICBM) from the Orenburg Region in the south Urals at a practice range on Kamchatka Peninsula in the Far East, the Russian Defense Ministry said on Tuesday. 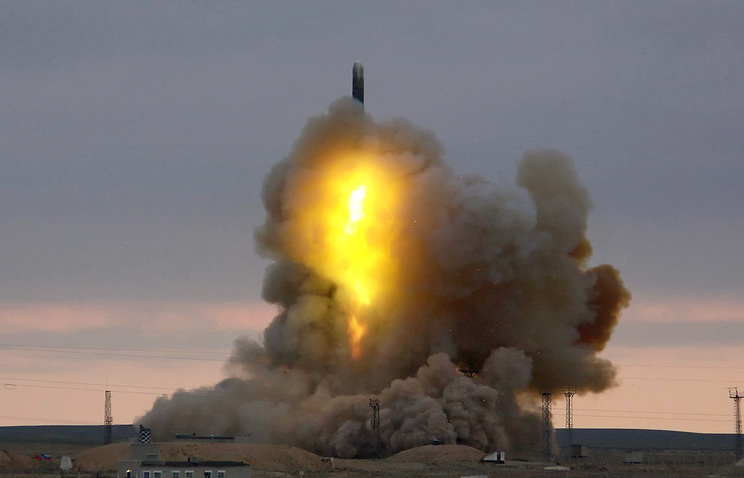 “At 11:58 a.m. Moscow time [08:58 GMT], an RS-18 intercontinental ballistic missile was launched from the position area of the Yasnensky missile formation [the Orenburg Region]. 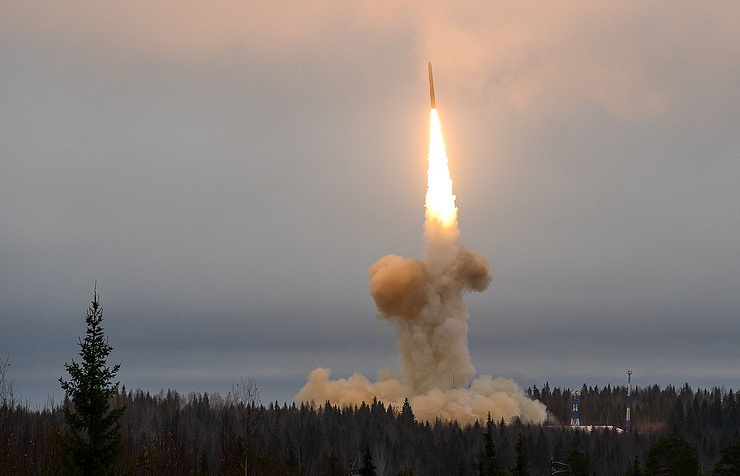 The launch has been a success and the warhead has been delivered to the area of the Kura combat field [Kamchatka Peninsula],” the Defense Ministry said. The launch was aimed at confirming the stability of the flight and technical characteristics of these missiles, the Defense Ministry said. 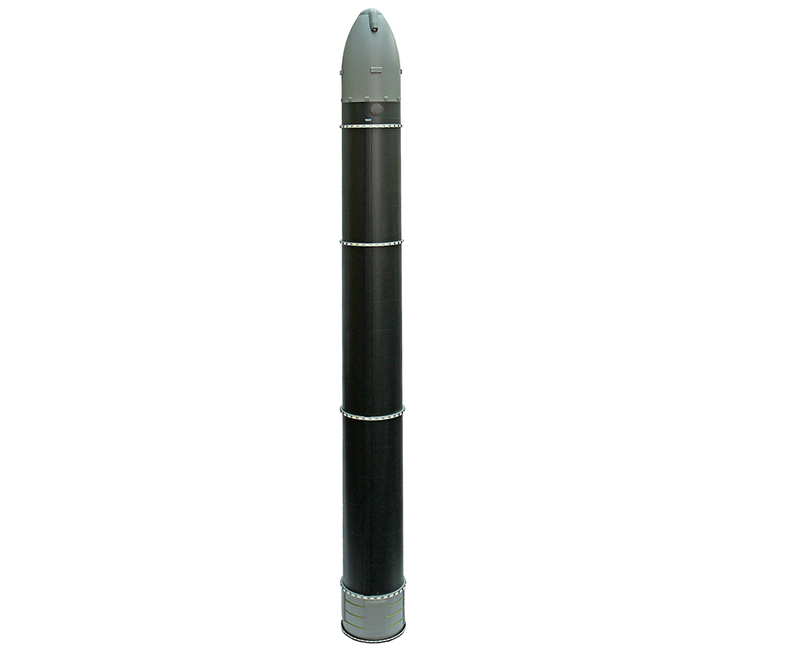 According to public sources, the first modification of the RS-18 missile was put into service in 1975 and the second in 1979. These missiles are placed in silos and carry up to six 550 kiloton warheads. MOSCOW, October 24. /TASS/. Russia’s Makeyev State Rocket Centre has published the firest image of the new Sarmat intercontinental ballistic missile. The RS-28 Sarmat is the newest heavy liquid-propelled intercontinental ballistic missile currently being co-developed for the Russian military by NPO Mashinostroyeniya in Reutov (Moscow Region) and the Makeyev State Missile Centre in Miass. The beginning of Sarmat’s drop tests depends on the time of the reconfiguration of the silo at the Plesetsk site, which will be used for testing. Russian Deputy Defense Minister Yuri Borisov said previously that the mass of the Sarmat ICBM warhead is 10 tonnes, and the missile is capable of destroying targets flying across both the North and South Pole. The Sarmat ICBM that is to replace the Voyevoda, will be created in several versions, Borisov said. 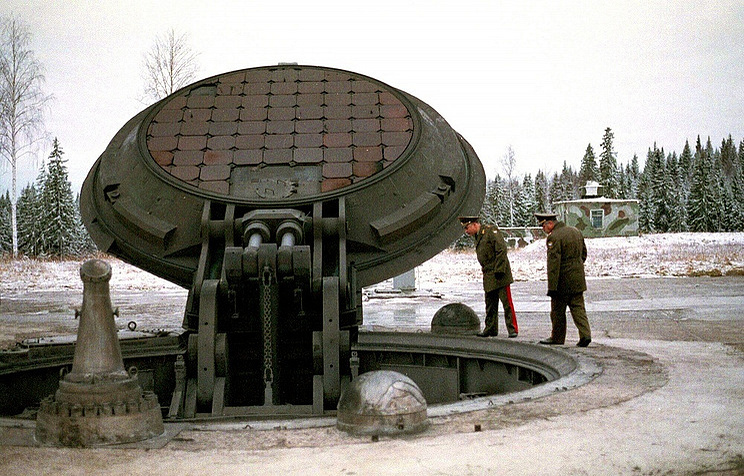 According to the developers, the advanced Sarmat will weigh within 100 tonnes. According to Yuri Borisov, its range will exceed 11,000 km. The cutting-edge missile is designed as a successor to the world’s largest and most formidable ballistic missile, the R-36M Voyevoda, weighing 210 tonnes and carrying 10 individually targeted warheads 750 kilotons each. Russia’s advanced RS-26 intercontinental ballistic missile has raised admiring eyebrows of military experts everywhere, the official Rossiiskaya Gazeta newspaper wrote. In a Chinese television program aired earlier this month a local defense expert hailed the unique characteristics of the Russian ICBM and the fear it had instilled in the hearts of foreign militaries, Rossiiskaya Gazeta wrote. “Russia’s new RS-26 missile travels along a continuously changing trajectory and as such it has no analogues in the world,” the expert said. These new Russian ICBM warheads were developed in response to America’s plans to deploy a global missile defense system along Russia’s borders. The RS-26 Rubezh is expected to become operational in 2016.